In Next to Mexico, Lylice (rhymes with Phyllis) has skipped 5th grade, meaning she is starting 6th grade at the middle school in Tucson. She spent all summer excited about the possibilities and getting ready. When her new principal is far from kind and understanding, Lylice starts to worry. Anxious to make friends, she jumps at the chance to be an English buddy for a new student, Mexico. Mexixo, a student from Nogales who lives with her aunt, is a talented artist who is also living with diabetes. Her father is still in Mexico but sent her to live with her aunt because her diabetes can be better controlled in Arizona. The girls become close friends, play in the school band, and plan ways to protest Principal Harrington’s cancellation of the school’s Art Attack art program. But then Mexico is hospitalized and Lylice learns it is because her aunt has quit her job and can’t afford Mexico’s insulin. Lylice and Mexico set out to plot a way for her aunt to get a job interview by forging a letter on stolen school stationery. Things start to go downhill when Lylice begins standing up to Principal Harrington and breaking rules, even though she knows they are rules that need to be broken. And when she risks her friendship with Mexico to satisfy the boy she likes, she risks losing everything. I picked this book off my bookshelf on a whim and ended up really enjoying it. Lylice reminded me a lot of one of my favorite characters- Emma-Jean Lazarus . She’s smart, kind-hearted, self-aware, but also lacking something in the social arena. A bit eccentric, she just isn’t a “typical” 6th grader. Yet you can’t help but love her. She’s wise beyond her years in a sweet and innocent way. Most of the time she gets along with adults better than her peers, but all that changes when she meets Mexico Mendoza. Mexico is struggling to fit in at the middle school while also struggling to fit in in a new country. She desperately misses her father in Mexico and doesn’t want to be a burden to her aunt. While it seems like they have nothing in common, Lylice and Mexico quickly discover they share more than a few classes at school. This is a great book for kids entering middle school. It’s a look at middle school from the outsider’s point of view, not the popular kids. It also brings up a lot of serious issues- immigration, health care, school funding, and alcoholism. But it’s not all serious- much of the book is laugh out loud funny! Lylice and Mexico manage to get into scrapes that most kids only wish they could cook up! I would hand Next to Mexico to kids who are entering middle school, especially girls. Those interested in current events will also get a lot out of this book. Spanish is sprinkled throughout the text, which I also enjoyed. Review copy from the publisher. Travis over at 100 Scope Notes invites us to create our own debut YA book cover. The name that appears is your author name. The word listed under “Random Verb” is your title. Type your title into the search box. The first photo that contains a person is your cover. 4 – Use Photoshop, Picnik, or similar to put it all together. Be sure to crop and/or zoom in. 5 – Post it to your site along with this text. Today I am thrilled to present an interview I conducted with the amazing Gary Paulsen. His newest novel, Notes from the Dog, is available in stores today. A beautiful and touching story about the impact of breast cancer and the importance of friendship and community, I can’t recommend it enough. Mr. Paulsen, it is a pleasure to have the opportunity to interview you. I teach 6th grade and my students are always big fans of your books- especially HATCHET and the Brian series. Notes from the Dog is a bit of a departure from those novels. What inspired this particular story? I know people who have had cancer and there was nothing about it that wasn’t ugly and sad. I had to find a way to write about cancer that was filled with joy and beauty and hope. Gardening plays an important part in the growing friendship between Finn and Johanna. Do you garden? If so, are you a black-thumb like Finn or more of a green thumb? I cannot grow weeds. Gardening has never been an interest–and I hope that came through with Finn’s bewilderment and outright horror at the beginning. Dylan seems like a great dog. I just got a new puppy myself (Australian Shepherd) and found myself laughing at Dylan a lot, comparing him to my dog. The relationship between humans and their dogs is so special, and I know my students will relate to Finn’s relationship with Dylan. Is Dylan based on a dog you own or have owned at any point in your life? Dylan is probably parts of every dog I have ever loved. They are all smart and loving and wonderful friends. I wish I was as good a person as most dogs are dogs. In almost all of your books, you place your characters in challenging situations, like Brian’s plane crash in HATCHET. You then let them struggle to find their way and to survive. In Notes from the Dog, Finn is struggling to survive in the everyday; he doesn’t like to socialize with people (and thinks he is terrible around “normal” people) so he avoids it at all costs. When Johanna befriends him he doesn’t even know how to react. I see this a lot with my own students and I think that’s why they identify with your wilderness survival stories- they are surviving their own trials and tribulations in everyday life. Why did you choose to have Finn struggling to survive adolescence? I barely survived adolescence myself, especially socially; it’s been a long time since I was a teenager, but I still remember not fitting in, feeling wrong, feeling isolated and ostracized and awkward. I wish I’d had a Johanna back when I was a kid. Reluctant or dormant readers tend to flock to your books. What is your advice for kids who don’t necessarily like to read, or at least don’t like to read what a school, class, or teacher mandates? Keep looking for the right book. For every reader, however reluctant or dormant, the right book is out there somewhere. If you don’t like novels, try nonfiction; if you think that the books are too long, find a shorter one; try fantasy, science fiction, humor, graphic novels, historical fiction, anything, everything. Pick up as many books as you can and skim until one catches your attention. I didn’t like to read when I was a kid, either, but the right book changed all that. Don’t get discouraged, don’t write off reading and books, keep looking for the right book for you. Ask your teachers and librarians and the bookstore employees–between them, there’s someone who can help you find your way to the right book. Many of my boys struggle to get started with writing. Most of the time it’s because they feel like they can’t write what they want to write in a school setting. Violence, survival, and “gross stuff” have been looked down on by teachers for so many years. They’ve been told it’s not school appropriate or it isn’t good writing. Yet those same boys love your books because they identify with the life and death situations you describe and of course the “gross stuff” that goes hand in hand with surviving20in the wild. And who doesn’t love the idea of peeing on an electric fence?! I’m sure that’s inspired a lot of experiments, even in my east coast suburb (I’ve overheard conversations about trying the same with invisible dog fences)! Your books tell the stories those boys want to be able tell. Can you tell us a little about how you got started as a writer and what your writing routine is like today? I wrote because I had to, I walked out of my job as an electrical engineer and apprenticed myself to writers at a magazine who taught me. I write every day. On notebooks by hand (if I’m sailing or running dogs), on my laptop wherever I am (if I’m speaking to teachers and librarians or on an airplane) or my desktop computer at home. I make sure that every day, I write for at least a part of the day. I don’t feel right in my skin if I haven’t worked every day. I’ve read in some of your interviews that you were never really a great student. Education has been at the forefront of national news over the past few years, especially with No Child Left Behind. Do you have any advice for teachers today? No advice, just thanks. Thank you for putting books in the hands of children. Thank you for caring so much and working so hard and helping so many. Thanks so much for taking the time to talk with me, Mr. Paulsen! One last question- can you tell us what you are working on next? What can we20look forward to? The next book is called WOODS RUNNER and it’s historical fiction about a boy during the Revolutionary War who had to rescue his parents who’d been taken prisoner by the British. I’m working on 6 other books, some funny, some serious, some long, some short, some about girls, some about boys. I’m having the most grandly wonderful time. I’m dividing my time between my sailboat in the Pacific and my dog kennels in Alaska and I’m getting more writing done than ever, which I can’t quite understand. Back in April I was lucky enough to have coffee with Kathi Appelt, who was in the area for a school visit. We had a great time talking about books, writing, and blogging. Before parting ways, Kathi told me she had a book I absolutely must read. She said she knew I would love Bella & Bean by Rebecca Kai Dotlich. I wrote down the title and promised to look for it. Of course, I promptly forgot about all of this in the chaos that is the end of the school year. Last week I was at a district meeting and was thrilled when the supervisor pulled out Bella & Bean for a read-aloud! Of course, I immediately remembered Kathi’s recommendation (and then felt bad for forgetting!). After listening to the story, I was hooked. Kathi was 100% right- I loved it! I can not wait to share this book with my students this year. Bella and Bean are best friends. Bella is a writer- a poet- always playing with words and concentrating on her writing. She begins each day ready to sit at her window-side desk, writing about the beauty around her. her best friend Bean is outgoing, fun, and hands-on. She’s always trying to get Bella to put her writing aside to come and play by the pond. All day long Bean pokes her head through the window of Bella’s house and tries to get her attention. She shows Bella her new hat, shows off her “cute toes”, and tries to convince Bella to think of the word “Bean” if she is concentrating on words. Bean is adorable and I wanted to run off with her! The illustrations by Aileen Leijten are precious and you just want to dive into the book with Bean. But Bella will not be distracted. She even gets grumpy with Bean! Bella perseveres through the distractions and is rewarded- her poems are stunning! But what about Bean? And their friendship? I won’t spoil the ending for you because it is absolutely perfect. I admit I couldn’t wait to find out what happened while we were being read to! I will just tell you to get this book ASAP. How gorgeous is that? I love it! I can already see Bella inspiring many of my writers. She certainly inspired me. 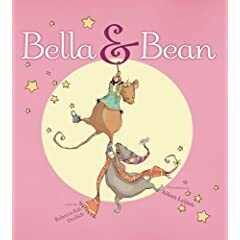 Bella & Bean is also a window into the writing process. I think I will start our writing workshop this year with this book. What a wonderful way to introduce my students to the workshop we will be a part of during the year. Every year, I have a few students that I refer to as my “Paulsen Posse”. They read every book Gary Paulsen has written, use him as a mentor in their writing, and talk about all of the Paulsen-like adventures they plan to live. 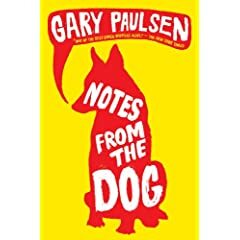 Now, I like Gary Paulsen as much as the next guy- maybe even a little more because he inspires so many dormant readers. But I’ve never connected to him like the posse does. Finn is a fifteen-year-old loner. His goal for summer vacation is to talk to as few people as possible. He figures he can get by just talking to his father, his true friend, Matthew, his grandfather, and his dog, Dylan. It’s not that he doesn’t like people. He just can’t figure them out so he prefers to avoid them. Settling in for a summer full of books, his world is turned upside down when Johanna moves in next door. Housesitting for the summer, Johanna is cool, pretty, and chatty. Before he even realizes it, Finn has been swept up into her world. And you know what? It’s not that bad….a pretty, older girl likes Finn! Johanna treats Finn like an equal. He finds it easy to talk to her which never happens with girls. Plus, Dylan loves her. And she’s pretty, which doesn’t hurt. Slowly but surely, she manages to draw Finn out of his shell. But most importantly, she’s a good friend to Finn. She’s obviously not your typical twenty-five-year old. Something else not typical? Johanna is battling breast cancer. Spending the summer with Johanna, Finn learns what it means to really care for someone on all levels- physically and emotionally. Johanna is young, only in her mid-twenties, but she is fighting an all-too-often fatal disease. Yet she always has a smile on her face. She and Finn set out to plant a garden in his yard, something Johanna has always wanted. Also something Finn is awful at; he’s got the blackest thumb in the world! But working with Johanna opens his small world to new ideas and made him braver. Johanna constantly encourages him and tries to make him see how awesome he really is. She even manages to set him up on a date or two! At the same time, Finn and Matthew vow to raise enough money to sponsor Johanna in the breast cancer triathlon she hopes to compete in before the summer is over. Even though the two friends can’t imagine Johanna competing (she can barely get out of bed some days), they move outside their comfort zone to raise enough funds. For Finn, this means making presentations to groups of people. Before he knows it, he’s talked to 100x more people than he planned to during the summer. I don’t know how to put into words what I think about this book. It is a must-read and a much-needed book. Breast cancer is so prevalent these days, yet there is very little of it in middle grade literature. When it is mentioned, it’s all-too-often in a “girl” book. Paulsen takes a decidedly female topic, which affects the entire family, and presents in it a book that will appeal to both genders. 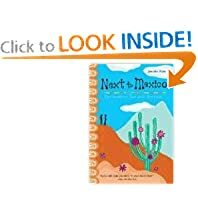 Too many of my students lives are touched by cancer and I know they will connect with this book. But don’t think this is a depressing book because it is about cancer. It’s also a funny book that will have you laughing at loud. Like when Finn and Matt are camping at the arboretum and get lost! Or when Grandpa announces he is moving in with his new girlfriend! There’s a certain feeling of joy that jumps between the pages of the book. Johanna lives every day to the fullest and you can’t help but be inspired by her. Her joy is contagious and even Finn is affected. It spreads to his father, his classmates, and eventually the whole town. Paulsen has crafted a testament to the importance of community and friendship in today’s world. This is a must-have for any middle school or high school library. As always, Paulsen packs a powerful punch. And I am now an official member of my classroom’s “Paulsen Posse”! Be sure to check back tomorrow for an interview with Gary Paulsen! I need your help! This year I will be teaching an enrichment course based on monarch butterflies. One of my focuses will be the Meso-American cultures in central Mexico, where the monarchs migrate. I am looking for great kid’s books(picture book to YA)about Aztecs, Mayans,Purepechua, etc. In other words, I need fiction or non-fiction books about Meso-American cultures in Mexico. So far I have found the following, but I need more! You Wouldn’t Want to Be an Aztec Sacrifice! I am interested in books that look at these cultures in the past and now. I am especially looking for some chapter books/novels. Any ideas? Last Day to Win an autographed copy of “The Astonishing Adventures of Fanboy and Goth Girl”! Don’t forget, today is the last day to enter my contest! Thanks to the ever-so-generous Barry Lyga, I have an autographed copy of The Astonishing Adventures of Fanboy and Goth Girl to one lucky email subscriber! 1. Subscribe to TheReadingZone by email by Friday, July 24th. Just Subscribe to TheReadingZone by Email. When you subscribe by email you will get notified anytime I post a new entry on the blog. You can also unsubscribe at any time. 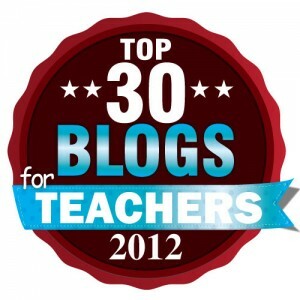 It’s a great alternative to using an RSS feed, like Bloglines or Google. 2. Leave a comment on ANY post on TheReadingZone using the same email address you entered above.